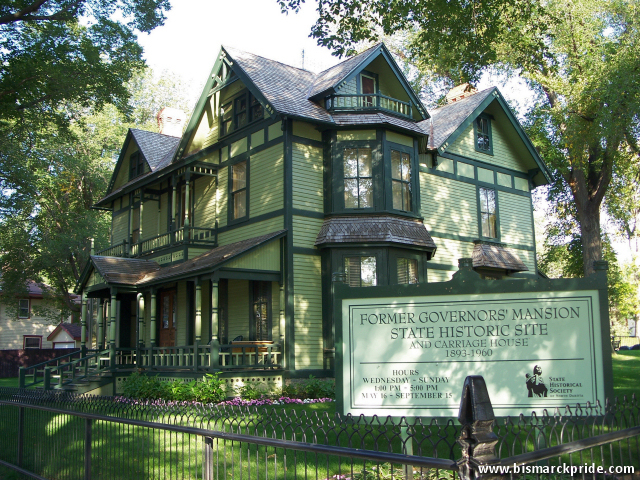 Located on Avenue B, this was home to 21 North Dakota Governors from 1893-1960. The house was built in 1884 by Asa Fisher. North Dakota bought the house in 1893 for $5,000. The mansion was donated to the State Historical Society in 1975 and has since underwent renovation to its original appearance.